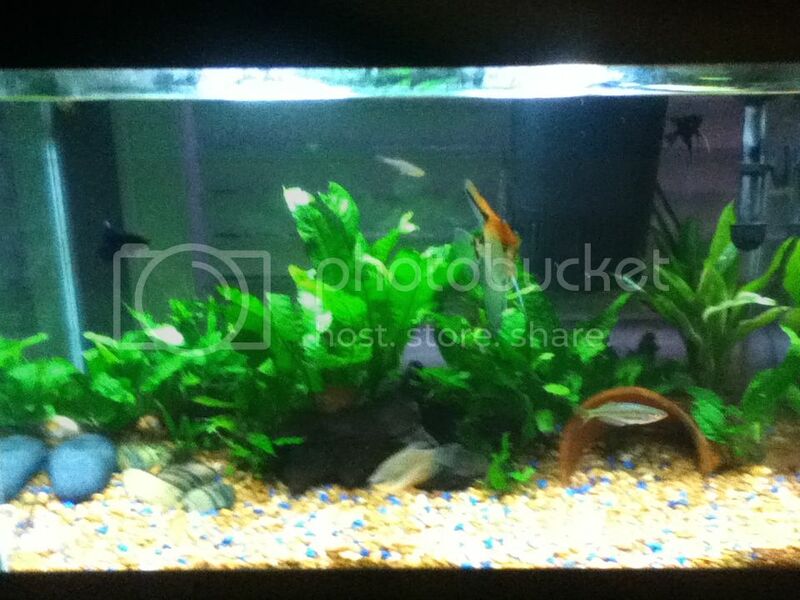 TFH Magazine Forum • View topic - New tank pics AND ALGAE or is it???? New tank pics AND ALGAE or is it???? Believe in the 14 year old uprising!!! 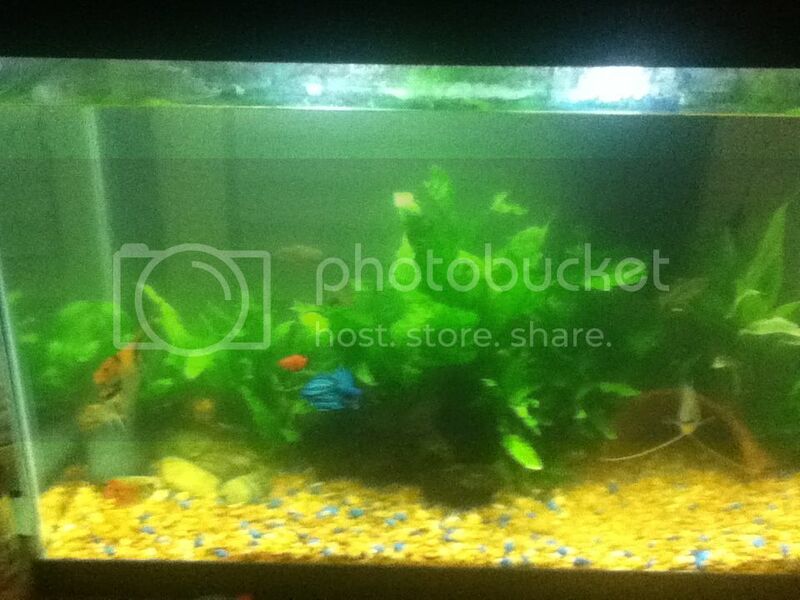 Re: New tank pics AND ALGAE or is it???? 3 gallon cherry shrimp breeder. Location: st paul minnesota ! That sounds like tannins from the water. If it is brown or tea color, but if it is actually green you've got some work on your hands. If it is green it's definitely "green water" algae, if this is the case you'll need a UV sterilzer or you will need to completely take your tank apart and boil any wood in the tank. Also rinse all of the rocks, I would avoid this process if possible. why would you avoid boiling the wood? Have you tried a three day blackout - very simple and it might just work? I had a feeling that green water was something you just ride out as it doesn't cause any harm to anything and goes away once the tank has found its balance. kb46 wrote: Have you tried a three day blackout - very simple and it might just work? I had a feeling that green water was something you just ride out as it doesn't cause any harm to anything and goes away once the tank has found its balance.